Two Steps Forward. One Step Short. Second place can be one of the hardest places, mentally, to finish. You’re left with all those questions about where you might have picked up those critical minutes or seconds needed to move up just enough to claim victory. There is a truly massive difference between winning a race and everything else – in all aspects. But looking back at the weekend, it’s hard for me to find too much I’d change. Overall, I executed the race that I wanted to execute. Unfortunately, Jesse Thomas was just better on the day. There are some relatively minor – in the overall scheme of execution – things that I’d change that might have given me a better shot to win, but ultimately I went about as fast as I thought I was capable of going on this course this year given the conditions; I think with some perfect pacing, I had another 30sec or maybe a minute, but given that I lost by 1:24, I don’t see that putting me across the line first. I think I might have played my cards a bit differently in an effort to slow Jesse down – I didn’t do myself any favors by setting the pace for him for the first 40 miles of the ride – but whether or not those things would have changed the outcome is a total unknown. He might have paced himself exactly the same and still crossed the line first. He’s a first class athlete with a first class motor, perhaps an even bigger one than he even realized after a 3:58:59, the 3rd fastest time ever on the Wildflower course. One thing I certainly wasn’t going to let happen was to have a 4:04:45 earn him another spot on the stairway of champions. 4:00:22 would have been good enough to win here on many occasions, but it wasn’t this year, and my biggest takeaway is that I just need to continue to chip away and get faster. I was faster in all three disciplines than in 2009, with my run – 1:16:11 – being 5th fastest on the day, and 2nd fastest (after Thomas) among those in the hunt for the win – showing the most improvement. And I came out of the water right where I needed to be and was able to execute during the swim to stay in that group. On the bike, I had good legs, perhaps good enough to roll the dice a bit more than I did, but it’s hard for me to really do much more than nitpick in the way that I think all athletes do when they come up short. If I was truly satisfied with second, I think it’d be time for me to find something else to do. I am happy with how I finished, but I am certainly not content. Wildflower is very much a race I’d like to win, and I think it’s a race that I’m very much capable of winning. But I’ll just have to wait until 2013 for another crack at it. While I don’t generally like to delve into discourse of the internal business side of the sport as a pro, there are two noteworthy things about this weekend that I want to mention. The first is related to the race itself. One of the nicest things about this race is the almost non-existant cost to do the race. 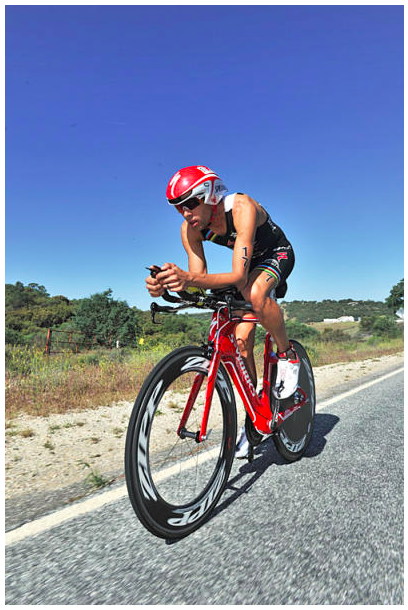 Tri-California provides first class accommodation (I shared a three bedroom, two bathroom house overlooking Lake Nacimiento with one other pro) to every pro, which means that even those who don’t place in the top-10 aren’t out of pocket much more than travel expenses. Secondly, the race pays ten deep, and it does so in a very equitable manner, which I appreciate. The breakdown of prize money can be found HERE, but it’s just as easily summed up by the fact that first place gets $5000 and 10th place gets $600. One of the benchmarks for “fair” prize money payout is that place X should never get less than 1/X of first. However, that is a true rarity in triathlon, with overly top heavy purses – often egregiously so (NYC was the worst offender, in my opinion, from a percentage standpoint paying $10,000 for first and $500 for fifth and $0 for sixth; but prize purses where first place represents an overwhelming portion of the prize purse are, unfortunately, the norm). If you read this interview with Mark Montgomery, you’ll see that Terry Davis has regularly gone above and beyond to “make things right” when they haven’t been. And I think the distribution of the prize money and the lodging for the pros are representative of that focus. I do, however, think it’s a bit unfortunate that the prize purse overall ($40,000 total) has fallen a bit behind relative to other premiere half-Ironman events put on by both Rev3 and WTC. But overall, I’m less concerned the quantity of prize money as compared with how it is distributed and, more generally, how the pros are treated, and on both of those counts, Tri-California does a great job. All in all, after my double-flat at Leadman, it feels like I’ve really kicked off 2012. Despite not racing as much to start this year as I have in years past, I was firing on all cylinders on race day and – amazingly – was actually pretty fast in transition as well. I had a successful first race on my new bike (no matter how much you train a bike, it’s always a tiny bit of a question mark until you get that first race in the books). And I think I truly did learn something from the mistakes I made both leading up to and during this race last year. But as nice as all that is, there is most certainly a fire burning to get back to the top step of the podium in two weeks at Ironman Texas. After Wildflower, I said, “If we’d had to go around twice, I’d like my chances a lot better.” Well, I’m about to get my wish. Bring it on. Nice write up. Good luck in Texas. Congrats on a great race! It's amazing to see how fast you guys race on that challenging course. Is this one of the hardest one's out there for you? Michael, I'd say WF is one of the TOUGHEST courses. I think races are made HARD by the competition. So you can have a course that is inherently un-challenging (whatever the appropriate antonym of “tough” is in this scenario) but that is a very hard race because it's full on. Abu Dhabi is a great example. HARD race. Not a very challenging course though. Great write up man, insightful, honest, and funny. Good stuff. Totally agree with you on the Tri Cal support and prize money curve. Like you said, fairly confident another lap on the run would have gone your way. Looking forward to seeing big things from you in Texas, and of course a “rematch” next year at WF. Seinfeld clip was priceless. Great video clip. Congrats to you and Jesse for a money result at Wildflower.